Due to the confluence of high inflation, rising borrowing costs, soaring oil prices, and tax hikes, the Association of Vehicle Importers and Distributors or AVID sold 88,700 units, a 17 percent full-year contraction from last year’s 106,285 units sold, with dismal performance across all segments. 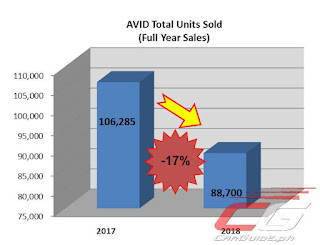 Accounting for 35 percent of the total AVID Sales, the Passenger Cars (PC) segment slipped by 22 percent in 2018 with 30,960 units sold. Leading the segment, Hyundai’s full year 2018 sales hit 19,905 units sold. Percentage-wise, most brands suffered double-digit declines last year. Subaru was hit especially hard—with sales dropping close to 65 percent last year. 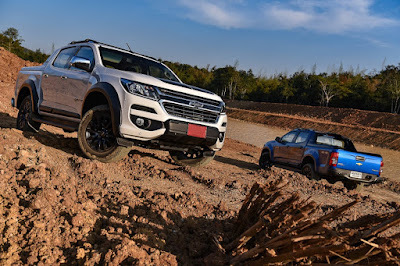 Likewise, Ford, Suzuki, and Chevrolet all saw PC sales drop significantly. Surprisingly though, Aston Martin saw sales rise 27 percent as well as Audi/Lamborghini/Porsche/Bentley by 11.74 percent. Posting lower decline, the Local Commercial Vehicles (LCV) segment saw sales drop by 14 percent, bringing the full year sales tally to 57,027 units versus preceding year’s 66,564 units. With 22,946 units sold, Ford ended the year as the best-selling brand in this segment. Percentage-wise, some players have seen gains in 2018 despite the softening vehicle demand. Hyundai, Volvo, and Suzuki all saw double-digit gains last year, while Audi/Lamborghini/Porsche/Bentley saw marginal gains. Like its PC performance, Chevrolet slipped 34 percent while Subaru dropped 13 percent. Represented by JAC Automobile Int’l Philippines Inc., AVID’s Commercial Vehicle (CV) segment sold 713 units in 2018.